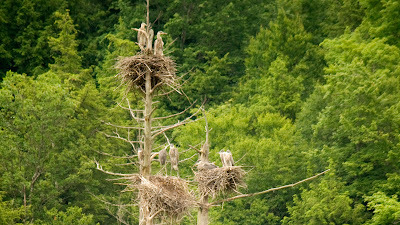 Great Blue Heron chicks near Manchester, Vermont. 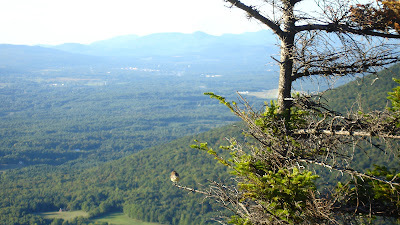 Above Manchester Vermont looking south. 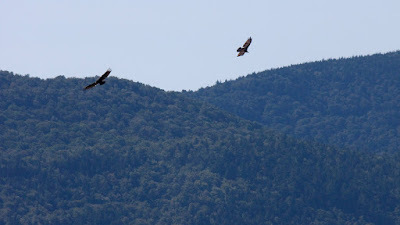 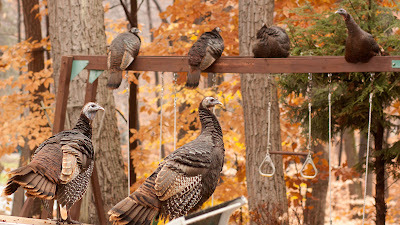 Turkey Vultures kettling above Green Mountain, Wallingford Vermont. 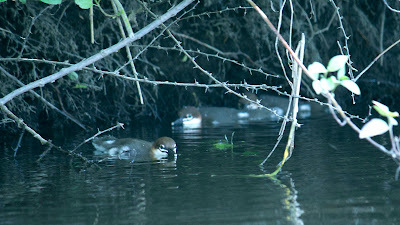 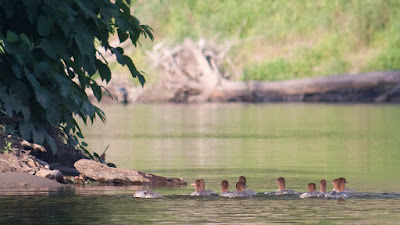 Merganser adolescents below Namanock Island, Delaware River. 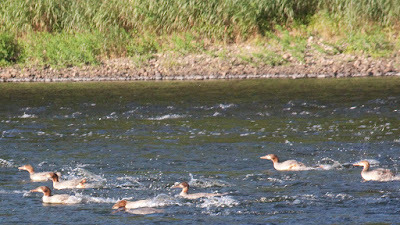 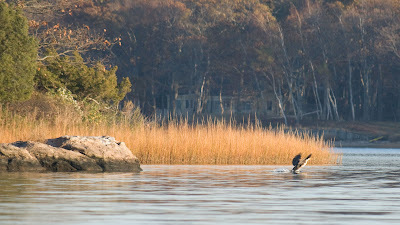 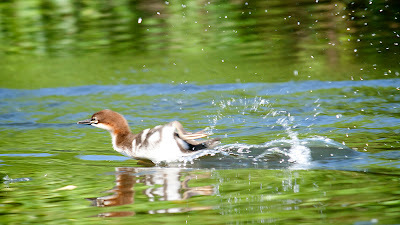 Merganser adolescents fishing at Namanock Island, Delaware River. 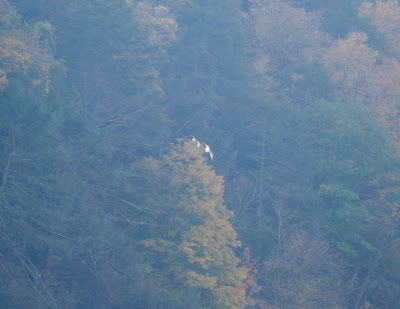 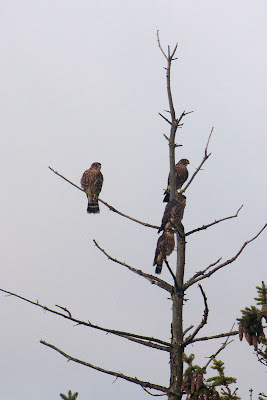 Ospreys at river's bends above Delaware Water Gap. 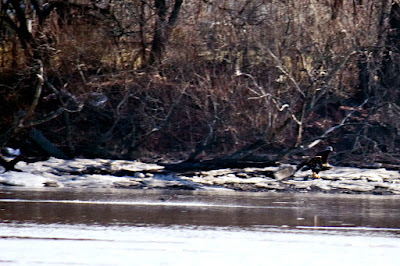 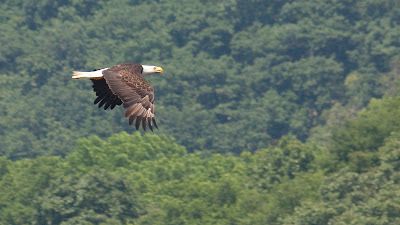 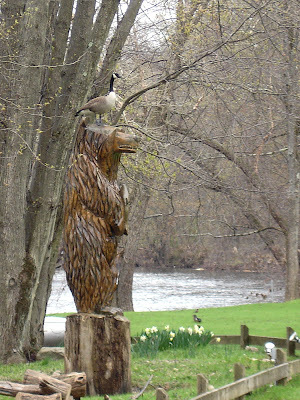 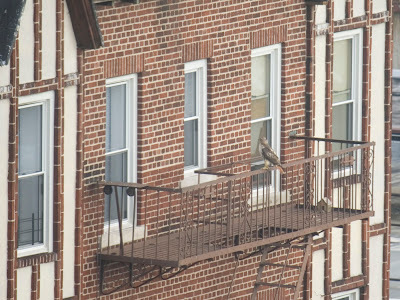 Bald Eagle in the Hackensack with fish. 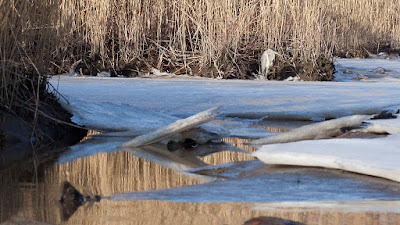 Streak in the water behind it is where it skimmed accoss the water to scoop up the fist....even cooler live. 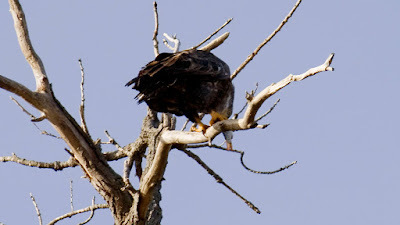 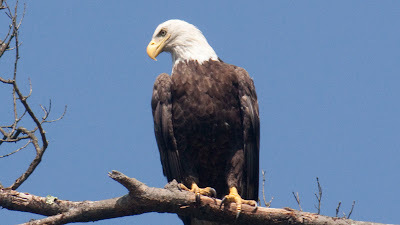 Bald Eagle eating, Hackensack River. 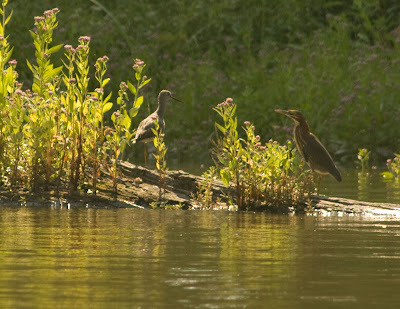 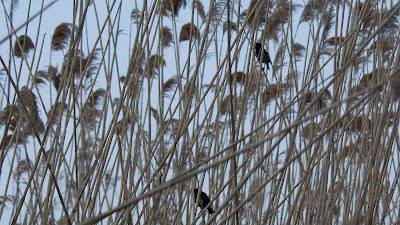 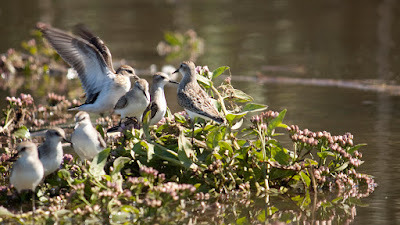 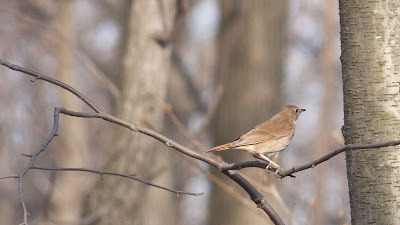 Red wings in phragamites (reeds), Hackensack River. 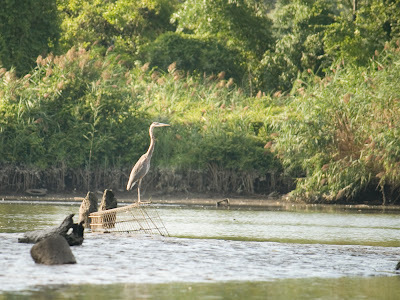 Hackensack River near Riverside Square mall. 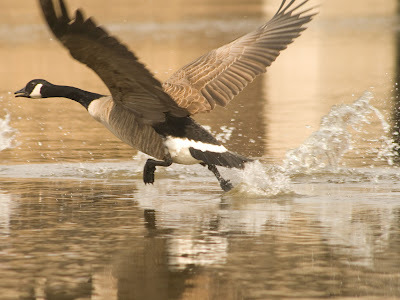 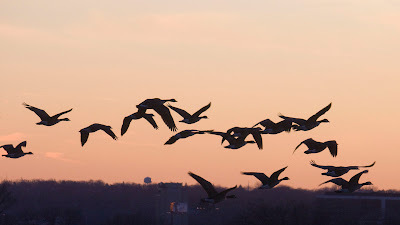 The way geese run on and push of the water to take of is fascinating. 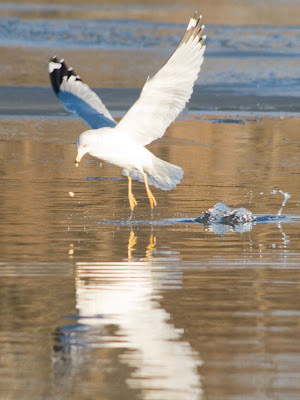 Egret in front of the mall in Hackensack.